According to the Centers For Disease Control, caffeine doesn’t seem to affect babies when it’s limited to about 300 mg a day or 2-3 cups of coffee. 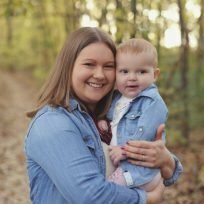 KellyMom, a community that provides evidence-based information on breastfeeding, says most babies should be fine with moderate amounts of caffeine, but what do the real experts say? And by that, I mean real moms. The ones in the thick of parenthood who stay up all night and just want some freaking caffeine to make it through the day. We talked to nine moms about what they had to say about their own experiences with caffeine and breastfeeding.